Subaru's trademark is undoubtedly the symmetrical AWD system of the Japanese manufacturer. With Subaru's symmetrical AWD, winter is a breeze for you and your car. No matter what the road conditions, you will always be safe and confident. Come discover our entire lineup of Subaru vehicles today at Subaru Repentigny. Come today to Subaru Repentigny to find your next new vehicle. Our team will take care of you from start to finish and will be able to help you find the right Subaru model for your needs. 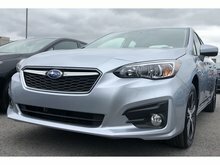 Subaru models stand out with their state-of-the-art safety and unique technologies like the Eyesight system. Our representatives will be able to explain these technologies in detail today. Come discover all of our new Subaru models today at Subaru Repentigny. We have a large selection of versatile models like the Subaru Forester or the Subaru Crosstrek. These two SUVs offer generous cargo space that will meet the needs of your family. We also have a great selection of new Subaru Ascent SUVs with three rows of seats and of course the popular Subaru Outback. 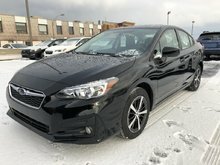 Subaru Repentigny is also able to help you find the right Subaru Impreza for your needs. Redesigned recently, the new Subaru Impreza offers a sedan version as well as a larger hatchback version. If you prefer a little more space, the Subaru Legacy will be able to meet your needs. Enhanced and redesigned, the Subaru Legacy is the only mid-size sedan to feature standard all-wheel drive in its segment. Schedule your test drive today at Subaru Repentigny! 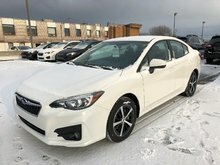 I wish to receive recalls, news and promotional emails from Subaru Repentigny.